The national team roster adds in a handful of new-comers including Jubal Davis, Shawn Neer and women’s pro-rider, Anne Galyean. Race veteran and Yeti employee, Chris Heath will also return to the team. The U21 team line up adds in a strong contingent from California – Duncan Nason and Paul Serra. Racers on the national team will focus mostly on regional races in the Rocky Mountains as well as a few of stops on the EWS circuit. 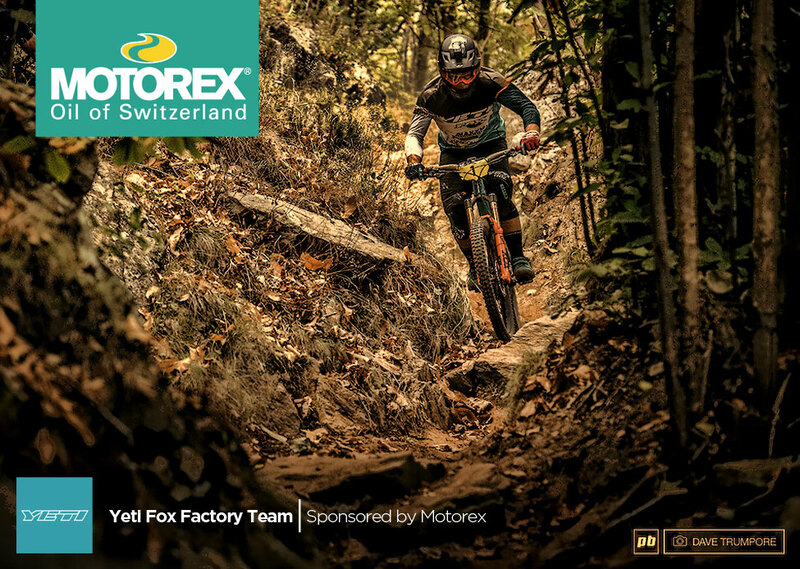 The Yeti Fox Factory Team continues to thrive with the support of many dedicated and generous sponsors that offer high-performance products and services able to endure the most grueling race tracks in the world. Returning sponsors for 2017 include: Fox, Maxxis, Shimano, DT Swiss, Ergon, Giro, OneUp Components, Ion, Stages Cycling, Chris King, Feedback Sports, Honey Stinger and Victory Circle Graphix. New sponsors for 2017, will include Toyota, Motorex, Backcountry Research, Unior, Rocky Mounts and Enduro MTB Training. This entry was posted in Bicycle Sponsorships. Bookmark the permalink.